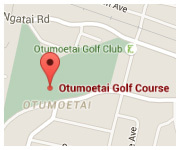 Established in 1956, the club is situated less than 3.5km from the Tauranga city center on park like grounds. The fairways are mostly flat and are easily walked, the course is 9 hole with some different tee positions for those playing 18 holes. The Pro Shop is open 7 Days per week and Green Fee players are welcome every day . Winter Shop hours are generally 8.30am to 4.30pm. Summer shop hours are generally 8.00am to 5.00pm. If you wish to play outside these hours - you are most welcome. Please use the Honesty box and pay your green fees. COURSE AVAILABILITY - PHONE THE PROSHOP TO CHECK WHEN YOU CAN PLAY - WE WILL ENDEAVOUR TO GET YOU ONTO THE COURSE AT ANY TIME UNLESS THERE IS A TOURNAMENT ON . JUST GIVE US A QUICK CALL ON 576-9739. BOOKINGS ESSENTIAL. N.B. Next Dinner night is April.